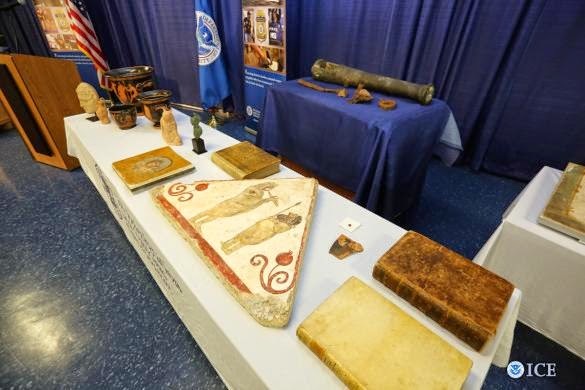 In 2009, HSI New York special agents received information indicating that a New York-based antiquity collector allegedly dealt in the sale of illicit cultural property. This collector was in possession of an artifact that was looted from an ancient Italian tomb in Paestum, Italy. In February 2012, HSI special agents seized the Steinhardt fragment, and it was forfeited to the U.S. government. This fragment was discussed before on LM with a link to Chasing Aphrodite that has the full details.